Known as 'Shasta Lily' this form has a smaller flower than the type and is found growing at the base of Mt. Shasta. 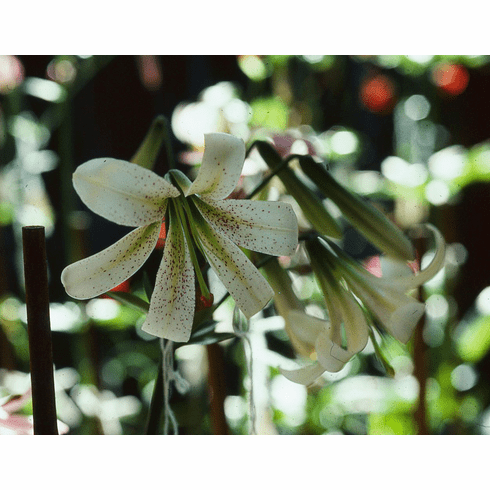 Title photo was taken at the nursery of Boyd Kline near Medford, Oregon and was a lily he was using for seed production, hence the missing anthers. Photo taken by Dianna Gibson.